The seedPH Program is a pioneering program of the Department of Information and Communications Technology (DICT) aimed at strengthening the Philippine Digital Startup Ecosystem and supporting the continued development of relevant innovations and digital startups throughout the country by encouraging the Filipino youth to develop relevant ideas that could either help solve societal challenges or become successful businesses. The program started in 2013 under the collaborative efforts and inputs of the Philippine digital startup community. The DICT took the initiative to gather the country’s major startup players which paved the way to more aligned efforts for the startup movement in the country, especially spreading these efforts in the countryside to help promote inclusive growth throughout the country. In 2017, seedPH anchors its efforts to the sector’s roadmap, the Philippine Roadmap for Digital Startup as it strives to provide interventions that will encourage creation of digital startups to help improve the Philippine economy and provide local employment, build sustainable businesses and help solve current and future challenges in the society with the use of technology. The program also aims to the Philippine Startup Community and get it to work as one unit as it strives to produce successful startup companies whose products and services are scalable locally and internationally and answer real problems in industries and communities. Now, identified and assessed by the local community as a foundational startup ecosystem, the Philippines aims to move forward as a truly unique innovation hub that shows resiliency, ingenuity and heart that is truly Filipino. The seedPH encourages Filipinos especially the youth to create startups through the programs summed up in one phrase: I C.A.N., which stands for the Program’s main thrusts for the Startup Community: Inform, Collaborate, Accelerate and Nurture. One of the issues identified in the Philippine Startup ecosystem is the low number of digital startups and the general lack of awareness on technology entrepreneurship, which in turn hinders the growth and establishment of more tech businesses. The program aims to educate Filipinos particularly the youth on digital opportunities through trainings and workshops that will equip them with basic startup knowledge and how to build technology startup companies. Startup Workshops are one-day trainings, which aim to provide basic concepts and tools in building technology startups. These workshops help enhance the competence of ICT enthusiasts in the countryside and uplift the local economy through possible creation of ICT business. The workshops cover five major concepts and activities relevant in setting up a startup: Idea Generation and development, Customer Identification and Validation; Unique Value Proposition; Cost and Revenue and Pitching. This workshop is open for college students and professors and is being done in collaboration with the startup industry leaders and startup founders. The program has conducted 21 advocacy workshops in gathering a total of 3,000 potential startup founders and startup professionals from different cities and provinces in the country. Lean Startup 101 Bootcamps - While Startup Workshops target the students, Lean Startup 101 Bootcamps aim to capacitate college professors from the fields of Computer Studies, Engineering, and other Technical and Business Related courses to become campus startup coaches. 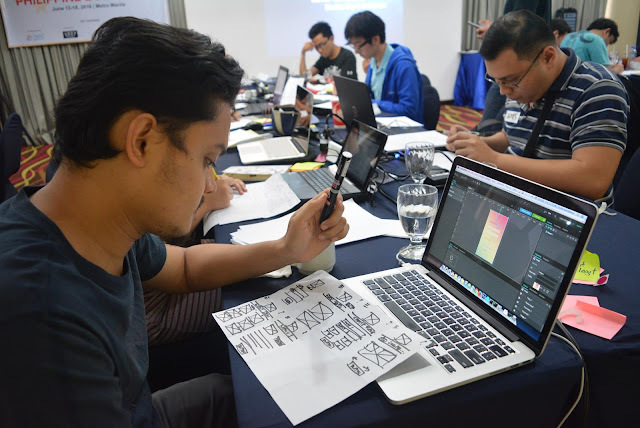 Mentors from the Philippine Software Industry Association (PSIA), an industry partner of DICT, help teach the Lean Startup Methodology in a one-day bootcamp, providing professors knowledge on Idea Generation, Business Model Canvass, and Customer Validation. The program stresses the crucial role of professors in molding future technopreneurs and serving as startup champions and mentors in academic institutions. This fosters a supportive and collaborative environment for innovation to be created in the academe level ensuring that mentors from different fields of expertise are aligned in the startup mindset. Bootcamps are also conducted in preparation for the program’s national startup competition, the Philippine Startup Challenge. Potential team coaches are equipped with the necessary tools and skills to efficiently coach student teams in building their own startup innovations. There are currently 460+ professors who were trained under the Lean Startup Bootcamps. With the intent of being an agent of unification and collaboration, the DICT has put great importance in collaborating with the local players in the ecosystem, as it has rolled out its programs with the benefit of both the industry and the stakeholders in mind. The program has found great results in building a robust ecosystem by empowering local champions as it has found in local Information and Communications Technology (ICT) Councils established in localities throughout the country. The seedPH program opens opportunities for collaboration between aspiring startup founders and industry leaders by supporting conferences and events that bring together the country’s great minds. Startup Weekend is a global movement with a weekend-long, hands-on module - tried and tested to become a productive venue where startups and aspiring entrepreneurs gather in one place, collaborate, execute ideas and pitch among esteemed startup industry leaders. It allows anyone with an idea for a business to find potential co-founders and partners who can help build the business with little investment. The seedPH program enables the conduct of Startup Weekends in regional locations, also providing support for facilitation in partnership with Techtalks.ph, a dynamic grass roots community of technology enthusiasts who continuously empower groups in the countryside to spread ICT initiatives. Numerous startups have begun their careers as participants of startup weekend, finding future co-founders and partners, and gaining valuable insight that it is possible to create something relevant and that failure is easily overcome. Geeks on a Beach (GOAB) is the premiere international startup conference in the country that gathers startup, technology and design practitioners, enthusiasts and experts to inspire relevant innovations and strengthen the budding community of ICT startups and its stakeholders. Showcasing both the Philippines vibrant tourism industry through its beautiful beaches seamlessly merged with ICT and innovation development, GOAB has opened opportunities for startups to learn from and collaborate with the local and international startup industry experts and leaders. Through the conference, startup enthusiasts were able to connect with potential partners and investors; learn from experienced entrepreneurs and hear the latest trends on the tech-startup industry. GOAB 2016 also opened an opportunity to gather Philippine Startup community leaders and launch the sole organization for the country’s startup ecosystem – the StartupPH.org. The organization became a venue to discuss the issues in the ecosystem and how to address them. Moving further to support startups beyond its ideation stages, the seedPH program has conducted projects to support early stage startup founders who are moving towards market and product validation and/or prototyping stages. The DICT finds its niche in the startup’s ecosystem and in supporting the startups in the advocacy and strengthening of their innovative product/service even before these technopreneurs become fully legitimate businesses. These projects aim to connect founders with necessary experts and mentors who can help them further in their tech business ventures. Launchpad - is a mentoring and assistance program, which aims to support and capacitate local startups as they transition from developing their software product idea to operating viable software businesses. This program is geared towards providing assessment on the startup idea; guidance on the business and technical aspect of their startup; networking opportunities with industry leaders and enablement trainings that could further enhance the participants’ existing business idea. This program has been conducted in partnership with the Philippine Software Industry Association (PSIA) to continuously provide support for local technopreneurs to become sustainable businesses with the aim of becoming globally recognized startups. Alpha Startups Bootcamp is a 6-day program consisting of a 5 day bootcamp and a demo day. It aims to address the gap between idea generation to having business viable products by gathering around 50-60 founders and co-founders of early stage startups who have initially started conceptualizing an innovative ICT startup/business. The 5-day Bootcamp includes discussion covering workshops on Customer Development, Product Development and Marketing Strategies. seedPH supports 1337 Ventures and the Philippine Software Industry Association (PSIA) through financial and logistical assistance. In the last 2 years, 1337 Ventures helped mentor and fund 6 Filipino startups. seedPH aims to focus directly on encouraging the youth to create relevant technologies that could also be viable business ventures. Philippine Startup Challenge (PSC) aims to inspire college students to create innovative solutions to the most pressing problems in the society with the use of technology. A total of 300+ entries were received in the last three years. Student teams created digital-based startups to help solve issues in the sectors of Agriculture, transportation, education, health, environment, among others. PSC is more than a student-competition because as it exposes the youth different ways of creating innovative and viable business solutions and inspiring them to pursue with their idea even after the competition. Partnerships with the industry helped PSC winners develop their ideas further. The team behind the startup “eBasura” had the opportunity to be part of a 2-week international study program courtesy of Huawei Philippines. The program aims to prepare future generations to be more competitive by exposing them to the latest innovation trends. The team is now working on their prototype and gained industry partners. Investment is also on its way as former startup founders turned investors who are graduates of seedPH supported Alpha Startups bootcamp are providing financial support as a means of giving back to the support provided to them by the government and seedPH industry partners. seedPH Program is a proof that closer collaboration between the government and the private sector is the most effective way to implement programs that has great impact to the community. It continues to open doors for both sides to address both the gaps and support needed to strengthen further the Philippine Startup ecosystem. For 20 year old Queeny Jane Cabizares, projects of DICT like Alpha Startups Bootcamp, Launchpad, Philippine Startup Challenge and Geeks on a Beach helped her develop, improve, validate and scale her startup idea. “I will not be where I am if not for the seedPH Program of DICT. It was just a dream for me, I have no knowledge on the business side but the mentors whom DICT introduced had helped me a lot in a way I can’t even discuss in a few words.” Now, Queeny has established customer base and continues to get support from industry experts and investors. For software and tech-startup industry leaders like Mr. Joey Gurango, seedPH has helped empower many startup founders to become future leaders of the startup community. “The Department of ICT, through its SeedPH program, has been an invaluable partner to SPRING.ph in our efforts to encourage, enable and nurture the stakeholders of our growing Philippine Startup Ecosystem. We hope to empower many more with the continuous support that we receive from DICT”. For seedPH, Filipinos CAN create innovative technologies. DICT believes, together with its community partners, it can create a strong Philippine Startup ecosystem. Philippine Startup Challenge (PSC) is a national startup competition for college students , which aims to encourage the youth to create innovative solutions to the country’s most pressing problems. Intern Ship (Pag Hinabol Mo Lalong Lalayo) – an application that allows students to use geolocational search for finding companies who are looking for new interns. Students can also use resume and application letter templates through this internship portal. Tweeva (Technovators) – is a mobile/web application that analyzes Twitter data to provide sentiment analysis of a given hashtag keyword. Aside from the sentiment analysis, the application will also generate demographics. The application will also provide rankings for specific topics like restaurants, hotels, public figures, and others. POD (NoSemicolon) – is a cross-platform mobile application that provides suggestions for students or individuals who wish to study or work away from their hometown and needs to find a dormitory or apartment where they can stay. This features all dormitories/apartments that are around the vicinity of the entered school or university. CareStarter (Gecko) – is an application that assists scholars in finding the right donor for them and for donors to find deserving scholarship beneficiaries. This application is an avenue for scholars and donors to interact with each other. Donors will also be given the privilege to see the transcript of records of the students they are funding so that they will be able to check on the accomplishments of their scholars. Escape Plan (WiseGeeks) – is an augmented reality game that will change the way of building teams. It addresses issues on inconveniences before, during, and after team building activities, such as going to far-flung areas, spending too much money, getting in harm’s way and destroying the shared vision of the company because of irrelevant competition. This game promotes basic principles of building effective teams – effective communication, shared purpose, dynamic team design and balance orientation. The objective of the game is to escape the room, where teams get to escape an environment by solving puzzles and finishing the challenges. eBasura: a cross-platform mobile application that addresses the problem and teaches people on the proper disposal and management of broken and old electronics or e-wastes. eBasura team had their two-week study in China courtesy of seedPH industry partner, Huawei Philippines. They were able to learn about current technologies and help them develop their startup further. Right now, eBasura is set to launch this year and investment is on the table. Fresh2ket: a web platform that connects farmers directly to its potential customers. Fresh2ket is currently operating and plans of expansion in Manila is underway. BookNow: a mobile-app based bus ticket reservation system. The bootcamp is a five-day pre-accelerator program packed with in-depth discussions for startups who are looking to level up their business. Paspas - Named after the local term “paspas”, which means fast, this SMS-based delivery service aims to deliver “a super-fast delivery” to consumers anywhere in Cebu. Just send a text message and any tasks or chores you can’t attend to will be taken care of. Impok - A cash deposit and micro-financing platform that aims to help individuals – students or employees alike–and give them an avenue where they can save or loan money, especially in dire times. Detivo: Point of Sale system as a platform which will help restaurants integrate with solutions and attribute sales data. BetterHapp: A web-based wedding management application for all wedding enthusiasts.